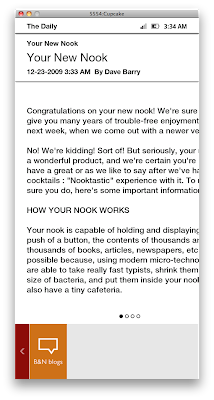 I decided to check out the Nook earlier today; naturally it's not available in Ireland so I downloaded the firmware update from Barnes and Noble and set to work on getting it to run on something. I didn't expect to get very far, but after a little hacking it was actually working. This is by no means a guide, but it should hopefully point more capable Android hackers in the right direction if they want to get this booting. I'm pretty sure that's all that was required. Nook on Android Emulator from Steven Troughton-Smith on Vimeo. First look at Grace, our picture exchange communication application for individuals with autism spectrum disorder. THE IPHONE is set to become a communication tool for children with autism, with the testing of a new application for the device. The application is designed to be used in a similar way to the Picture Exchange Communication System (Pecs), which allows children to build sentences using a book of laminated pictures attached to a board by Velcro. The application, which is being developed under the working title Grace, is the brainchild of Lisa Domican, a parent of two children with autism. She was inspired by O2’s marketing campaign for the iPhone. Before the launch of the device in 2008, the mobile operator ran advertisements on buses in Dublin. Ms Domican noticed the advertisements and realised the phone’s potential as an alternative to the Pecs books used by her 10-year-old daughter, Grace. The idea is backed by O2 Ireland, which supplied the devices for the development and testing of the application. The mobile network is already involved with Irish Autism Action and it was through this link that Ms Domican got backing from O2. Ms Domican linked up with Steven Troughton-Smith, a software developer for the iPhone who has created a number of bestselling applications. 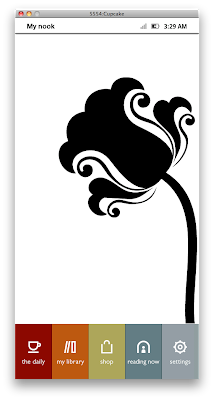 Mr Troughton-Smith, a student at Dublin City University, took the description of what Ms Domican wanted and turned it into a working version of Grace. He developed the application to look exactly like a Pecs book. So instead of carrying around a Pecs book, older children can use the iPhone to choose from a range of pictures and place them on a virtual strip of Velcro. Ms Domican’s daughter Grace has become so comfortable with the technology that she adds her own photos to the application’s library using the iPhone’s camera. The application is undergoing trials on five devices in three schools to see if other children, parents and tutors can use it easily. Once testing has been completed, it will be submitted to the iPhone App Store.